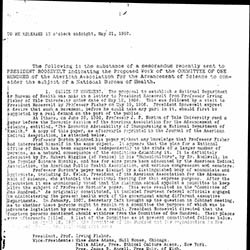 Subject is exactly "alcohol abuse"
The memorandum explains why it is necessary for the federal government to establish a Bureau of Health. 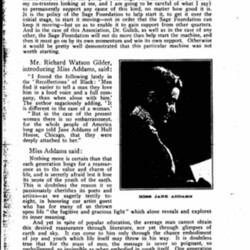 Addams participated in a tribute dinner to Mary Augusta Ward, held by the Playground Association of America. 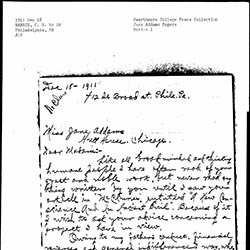 The event was held on March 31, 1908, at New York's Waldorf Astoria Hotel, where Addams discussed the need for play, art, and creativity, and warns that without such outlets men will fall to drink and immoral behavior. 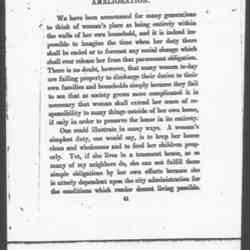 She highlighted the lack of healthy entertainments, especially for young women. 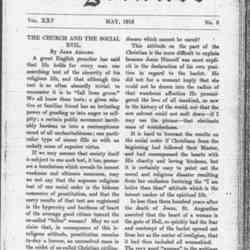 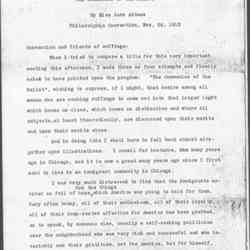 The speech was published in Playground in April. 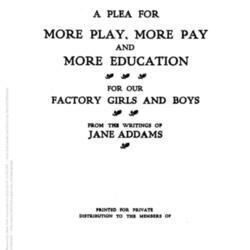 Addams advocates for the value of organized recreation for working class women. 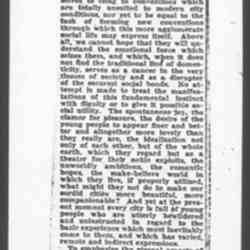 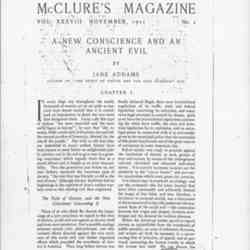 Addams argues for the value of recreation and urban spaces for play in the life of a society. 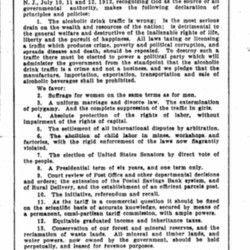 In this campaign tract, the Prohibition Party seeks donations in exchange for a subscription to Clean Politics and asks supporters help spread word of the party's platform. 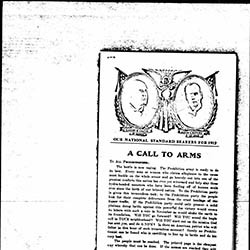 A pamphlet containing the ideals of the Prohibitionist Party as well as a call to the public to solicit funds for a prohibitionist newspaper. 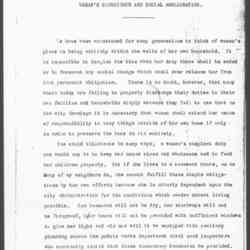 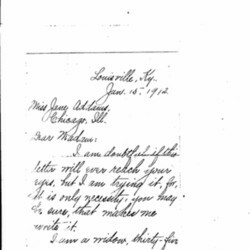 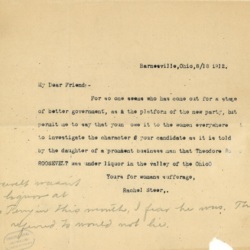 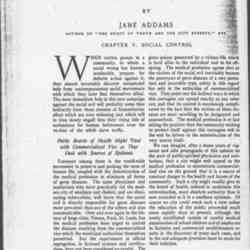 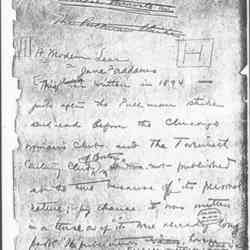 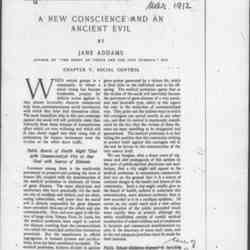 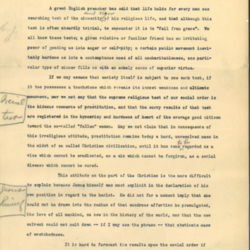 Addams' keynote address before the National American Woman Suffrage Association meeting in Philadelphia argues that women must have the ballot in order to maintain their moral and familial role for the betterment of society. 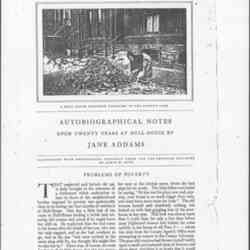 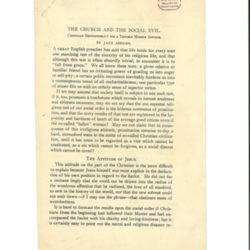 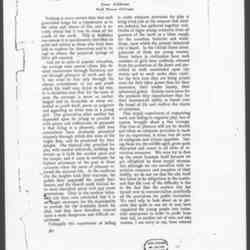 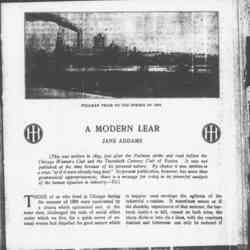 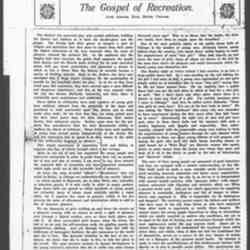 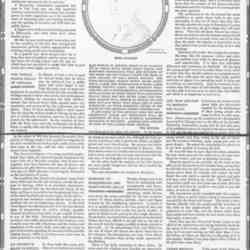 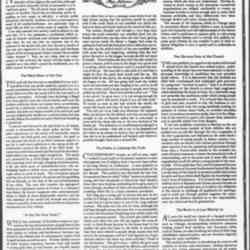 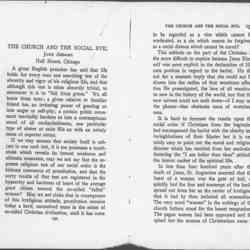 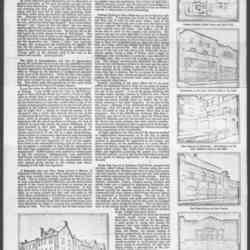 A compilation of Addams' writings on reducing child labor, and increasing playgrounds and education for working-class children. 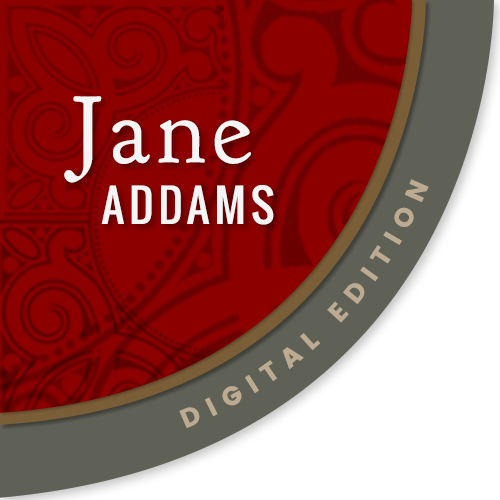 Sanders describes the new roles that members of the Jane Addams Club have taken on since it became a part of the Progressive Club. 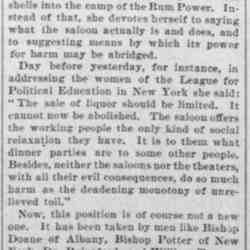 Sanders also describes the activities of the temperance movement. 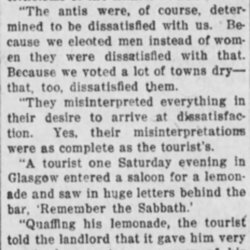 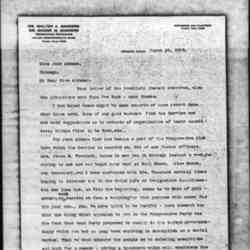 Newspaper story details Addams's discussion of the dissatisfaction some people had over the way that women used their votes.